Making the mankind dream of flying, accessible for everyone, anytime, riskless and free of fear. Our Mission is to technically realize this dream. 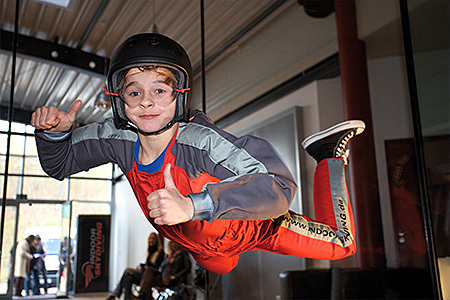 We are convinced that flying in a vertical windtunnel independent of any weather conditions and free of fear and giddiness will internationally evolve into a fun sport and unique entertainment experience. In the next years, our windtunnels will contribute to make this vision come true and will be located in sports- and amusement parcs, shopping malls and other public places worldwide.